← Should we have better access to defibrillators? 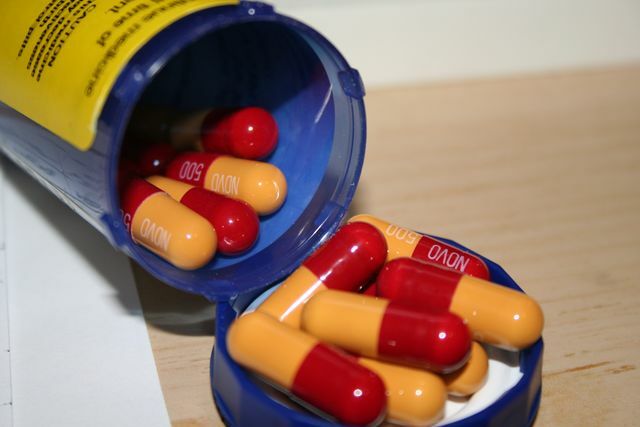 Do we use antibiotics correctly? As part of our series of blogs about the upcoming vote on WI resolutions for 2015 (for more details, see our earlier blog post), we’re considering the use of antibiotics. We’re writing these posts to kick-start the debate about these issues in advance of our December meeting; they don’t reflect any particular view or an ‘official’ view of the Sotonettes Committee so please read them with that in mind. We want to know what our members think so please let us know on Facebook or Twitter. Antibiotics have often been used by patients as they can treat and prevent a whole host of bacterial infections, but resistance to the medication is increasing and is one of the greatest threats to modern health. The World Health Organisation has warned us that “a doomsday scenario of a world without antibiotics,” in which antibiotic resistance will turn common infections into incurable diseases and make routine surgeries a high-risk gamble. More must be done to curb unnecessary prescribing of antibiotics, after finding that its prescription for simple illnesses has increased significantly in recent years. This is despite the fact that the Government issued guidance in 1998 warned GPs not to issue antibiotics for “simple” coughs and colds. Antibiotics only fight infections caused by bacteria, which can adapt and find ways to survive the effects of antibiotics. This means that they become ‘antibiotic resistant’ so that the antibiotics no longer work and the bacteria can continue to thrive. The more antibiotics are used, the more resistant bacteria become to it, so it’s important that they are only prescribed when absolutely necessary and with the certainty that it will be of benefit to the patient. Although we often think of antibiotics being used to treat humans, they are also regularly given to many types of livestock, even when no infection is present, to ensure a good yield and financial profit. We need to make sure that we are using antibiotics in the right way, to slow down the resistance and make sure that these life-saving medicines remain effective for us and future generations. Although the government has a five year strategy in place that focuses on public engagement, the WI could add further pressure and increase publicity for this existing campaign.